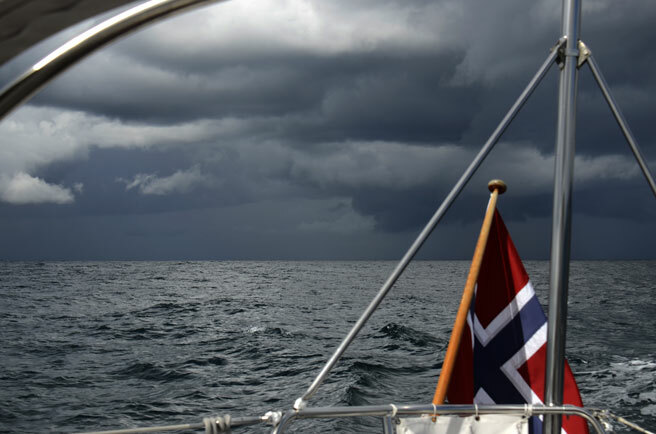 Same wind and sea as yesterday, so the engine brought us southwards until this squall caught up with us and we could sail the rest. 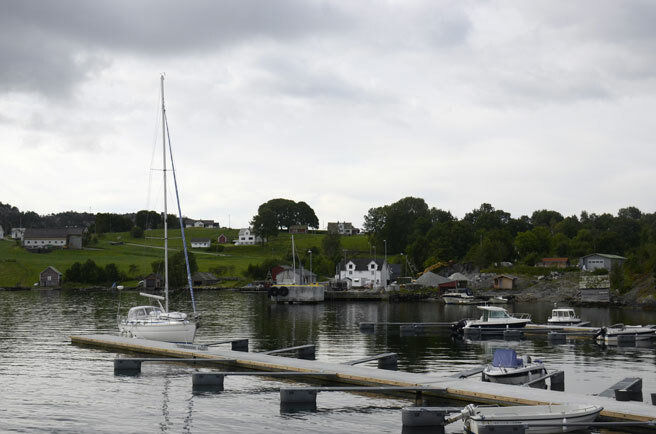 The public harbour in Korshamn, in the middle of the picture, seen from the E entrance. The stay is for free and electricity and water is also available for free. NW breeze to start with and a little shower- good sailing, but the wind died off and the waves not. It looked like we were stuck between NE wind over land and NW out at sea - where we were, there was almost no wind, so the engine had to do most of the leg. 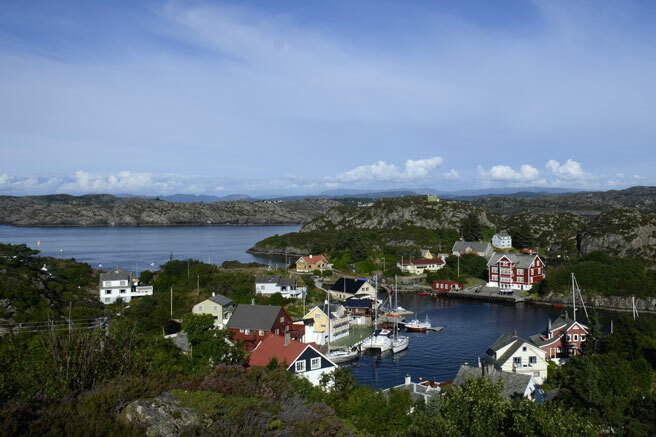 In Egersund the sun was still shining the next morning, although during evening and night we had quite some heavy showers. 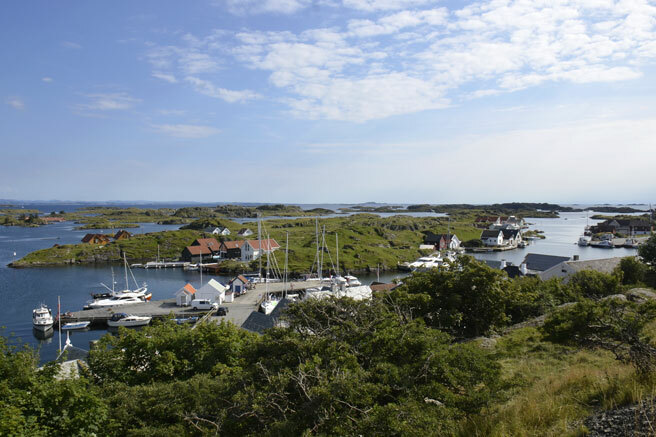 Ystebø hamn is situated among a group of islands called Kvitsøy and is an outpost to the Norwegian sea. The guest harbour is on the quays just in front, but also on the island right in the picture. Welkin is lying at a public quay in further out in the sound (the S entrance to the harbour). 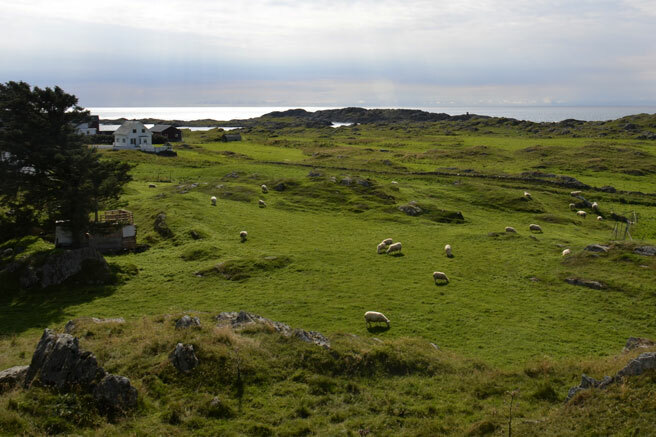 The cultural landscape is still kept on the islands by herds of sheep. Motored to Leirvik to get some heavy gauge cable for the alternator. The old cable was acting a a 5m long electrical heater and the voltage dropped 0.5V on the way. From Leirvik we could sail in the sun out Bømlofjorden to Espevær. The cable was exchanged and now the alternator performs much better. We are lying at the green quay in the middle of the picture and it is also possible to lay in front of the shop to the right. Water and diesel are available by the shop, but no power. Do not disturb! Can't you see I'm sleeping! The sun is still with us and we sailed leisurely with the wind abaft, that was until we got startled by a loud hissing sound! 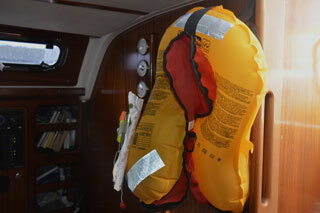 In shock we searched for the cause only to see the captains life vest hanging inflated on its hook. Last year we heard a similar story about a sailor that sailed with his family from the north of Norway to the south to get nice weather on his holiday, but he got only rain and on the last leg home he had to stand out in the rain because his autopilot had failed and just he as was complaining about all the rain, his life vest inflated. 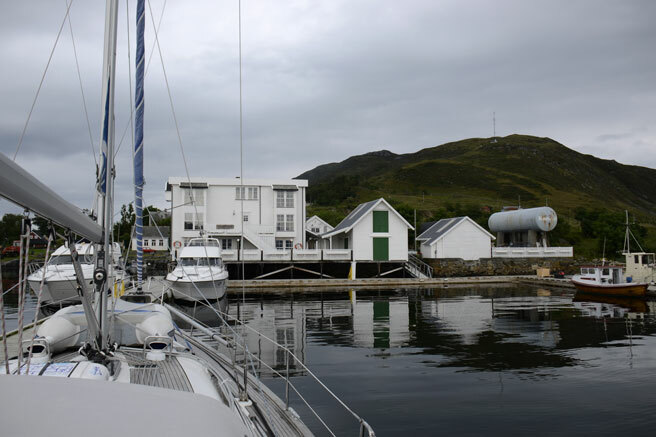 Nordhuglo guest harbour is in front of the shop in the white house, we are moored at one of the two new pontoons north of the ferry quay. Sun (finally!) and northerly breeze brought us to Bergen, no dressing up in foul weather gear today! 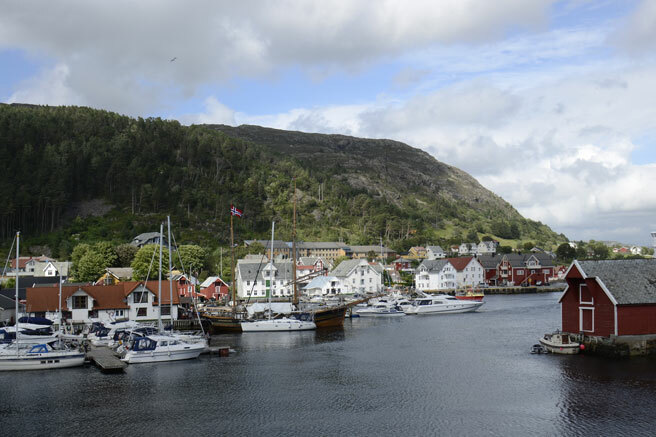 As usual Bergen harbour was busy; 4 cruise ships, a mega yacht and not a single space at the quay. After lying in a raft a couple of hours, talking with an old friend visiting us, we got to the quay. Finally I can work on my holiday tan! 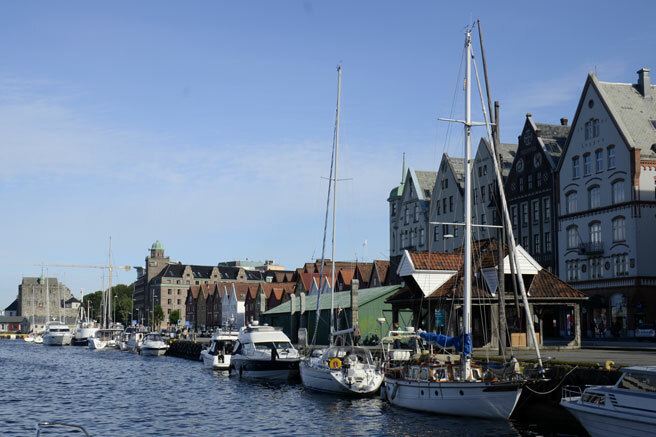 Bergen is selected by National Geographic as one of the 100 most beautiful cities in the world. Grey, grey, grey and rain, rain, rain and no wind. 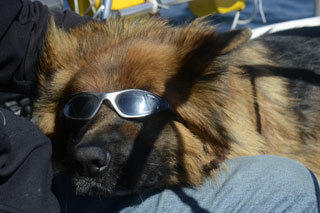 The forecasted NW near gale and the sea came after 30 nm for engine and we could set sail! 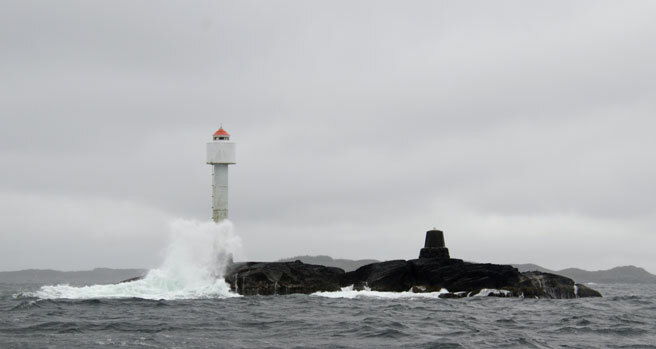 Here we are passing Grimeskjæret lighthouse in Fensjorden. In Fedje we met a German boat from Celle and the rest of the evening was spend talking German. Today the captain was so fed up with the weather, that we started the engine, put on the autopilot and sat behind the sprayhood reading the whole leg to Askvoll. In Askvoll it was also raining and due to this, our photographer refused to work. The guest harbour has been extended since our last visit in 2007 and has now power, water, showers, washing machines/driers, diesel and even a restaurant! 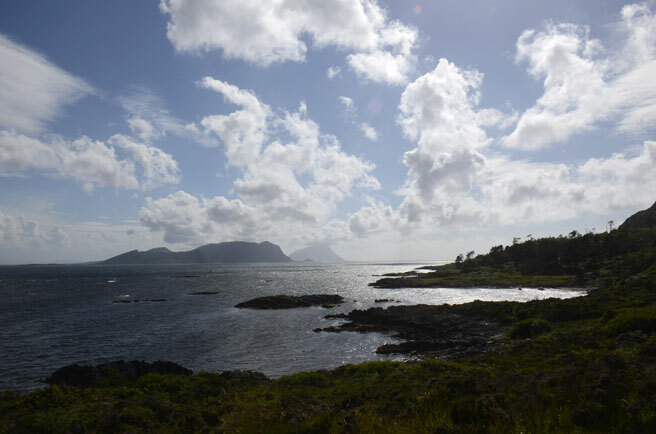 In the fjords between the mountains from Maløy the wind was changing from 2-18m/s in less then half a minute, making sailing very difficult. Add frequent torrential rain showers and you have the weather we had on route. 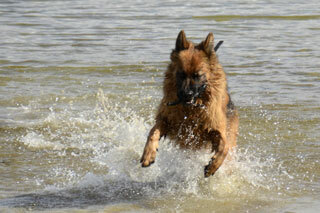 It was nice to get to the harbour and take a walk with the dogs in sunshine that finally got out in the afternoon. This guy doesn't know about the €1000 fine and that in front of the coast guard too! Water! Did I already mention I love water? 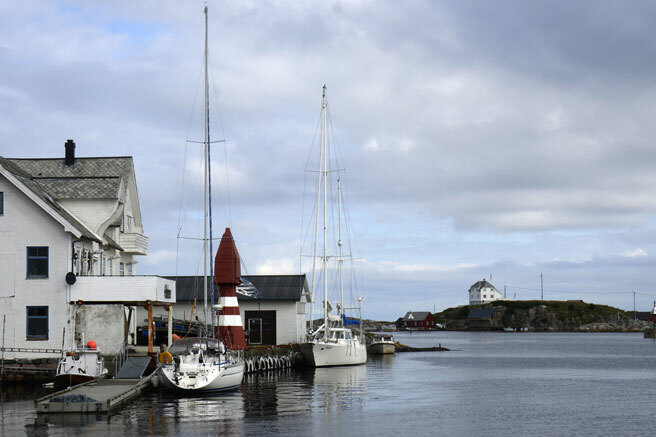 The extensive guest harbour in Kalvåg - the yearly festival ended today, but still a lot of boaters lingers, due to the rough sea. 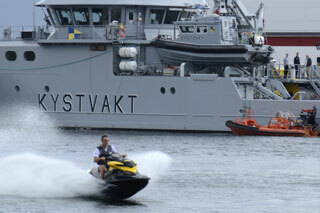 We saw several boats leaving the harbour, but returning back after experiencing the seas outside in Frøysjøen. 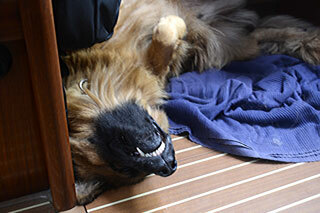 No sailblog updates the past days, due to bad coverage of our ICE box - it has now been replaced with a mobile hotspot! 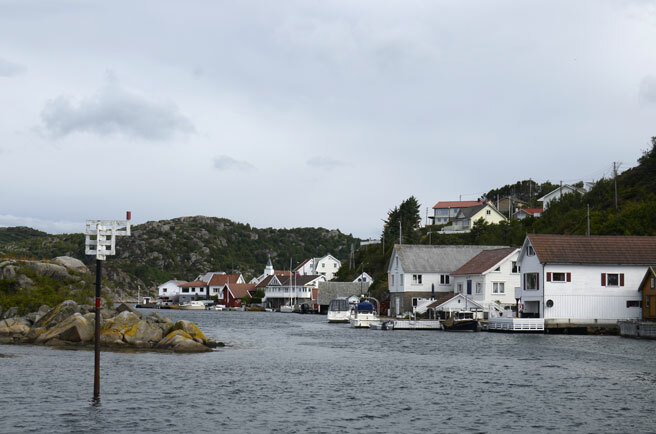 Short trip today to Måløy, we needed some supplies for the weekend. Stopped for fishing on the way - no luck. Now we are waiting for the forecasted heavy rain and gale. Lazy passage over Stadt with no wind and almost no sea, until we were 6nm miles from the harbour, then we got rain and a S near gale. Above; Buholmen lighthouse just southeast of the point. 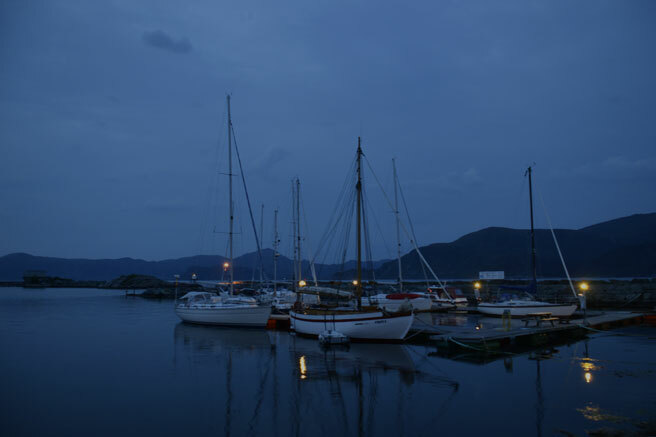 The guest harbour at Silda by night, this year they have a restaurant in the next bay. 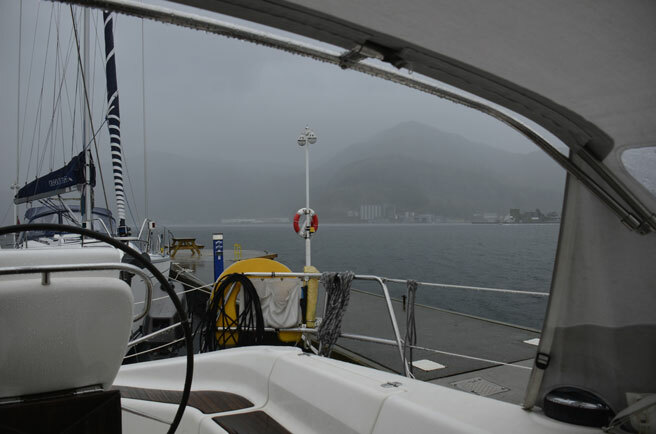 Left Ålesund in a breeze and could sail most of the way to Sandshamn. On the way the navigator froze but a factory reset solved it.